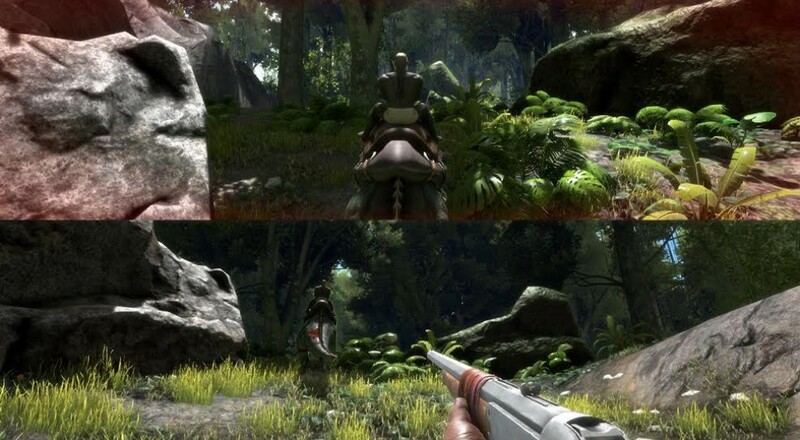 Last month, Studio Wildcard, the developer behind the massive action/survival game ARK: Survival Evolved, teased that they were going to bring splitscreen support to the XBox One version of the game. The newest patch that's in the works, version 731.0, will do just that. Per the developer's patch notes, the splitscreen support is for "online and local play," which we are taking to mean that the game will support what we call "combo co-op." Two players will be able to play on the same Xbox One together and also hop online to play with friends. Finally, the developer tweeted yesterday that new servers have been put into place for the Xbox One version in order to support the growing player base. Page created in 0.2688 seconds.